I am entering my Charley Harper quilt into the Blogger's Quilt Festival hosted by Amy's Creative Side in the Small quilts category. 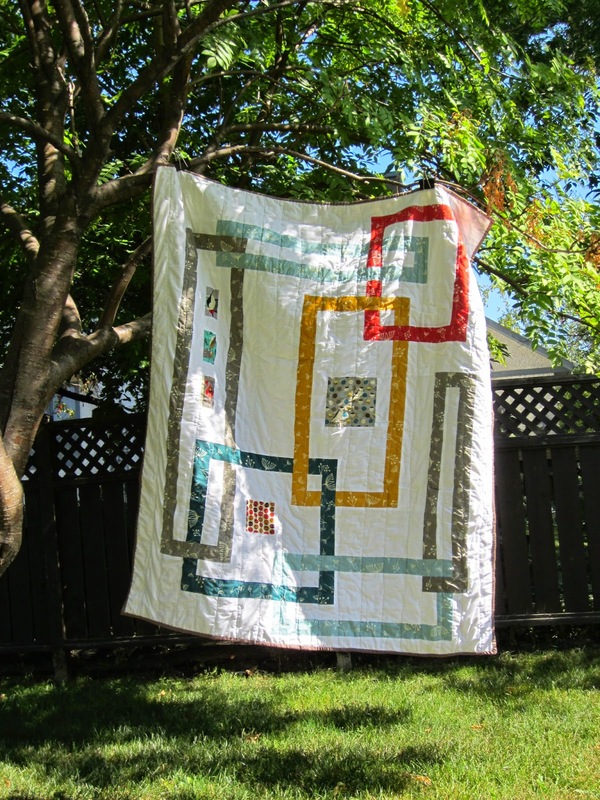 This is a quilt that was a lot of fun for me to make, was a real challenge to me, and was a joy every step of the way, since it involved working closely with Charley Harper's art. I have blogged about this quilt in two different posts already here and here. My wonderful husband is seriously so good at buying gifts. He is very thoughtful and always surprises me with what he thinks to get for me. The Charley Harper bundle of fabric was no exception. I have always had a love for his artwork, and after making a quilt for my god daughter Briar Rose, I had developed an interest in sewing. I wanted to make a quilt that didn't cut up the fabrics too much, and really features them. I made the front, and then felt like I still wasn't done with the fabrics. I decided to make the back very special as well, and planned out a funky interlocking pattern that fit the size I needed. After putting it all together, I chose to free motion quilt it with straight lines with little bubbles. Notice one of my favourite details: I included a piece of the selvage in the piecing of the front of the quilt. This was the second quilt that I have made, and I wanted to challenge myself with it. 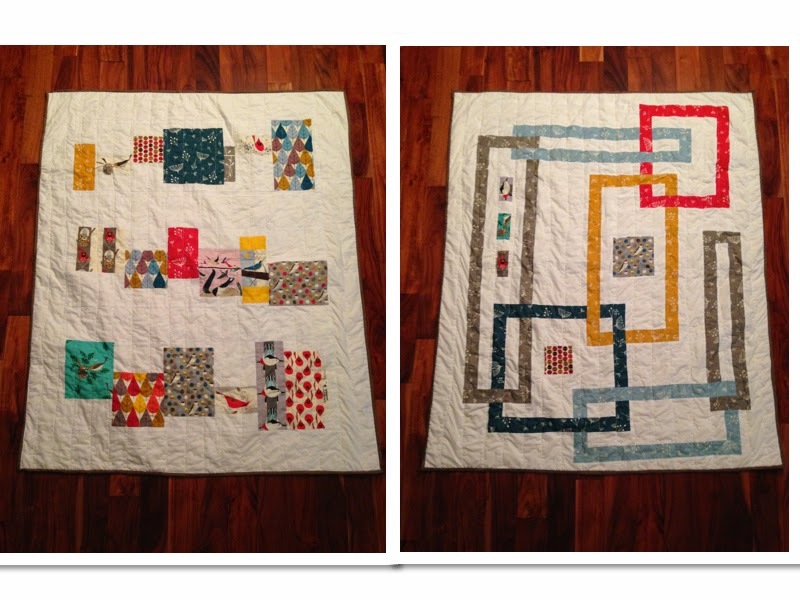 I am very proud of this quilt and curl up on the couch with it almost every night. 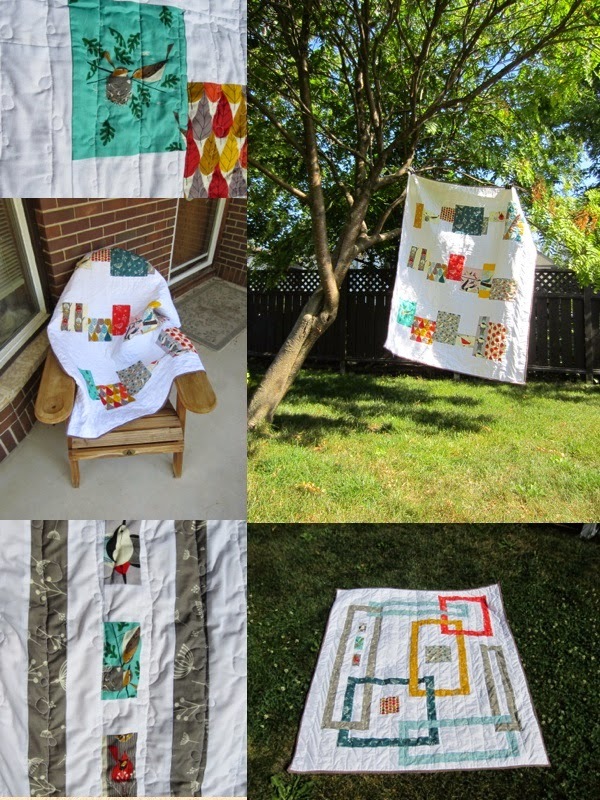 To vote for my quilt, follow this link to the small quilts category, find the picture of my quilt (it's the picture of it hanging from the tree) and click on the heart in the corner of the picture. 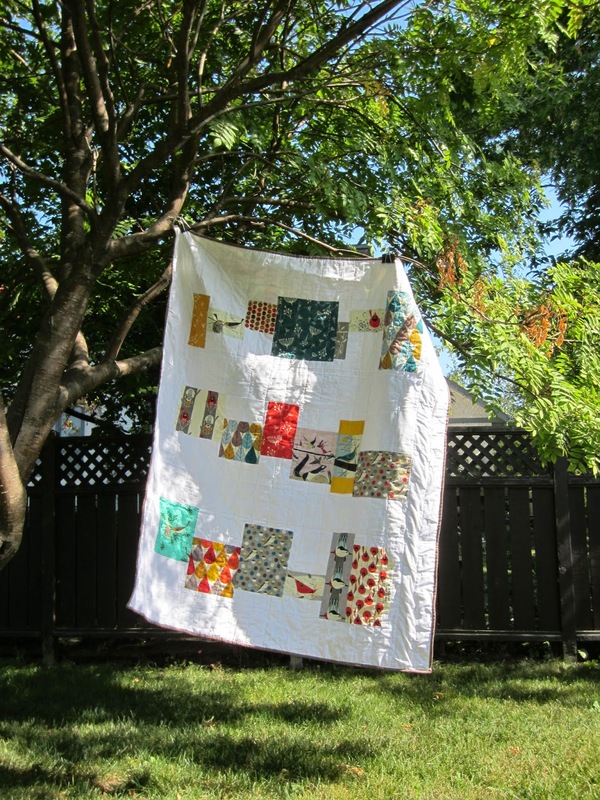 Thanks for looking; I would love and appreciate your votes for my quilt!